There are 85 posts filed in Uncategorized ( this is page 1 of 9). So having played them all, here is my top 5. I have taken into account several factors, which include course design, course condition, value for money and how busy the course is. 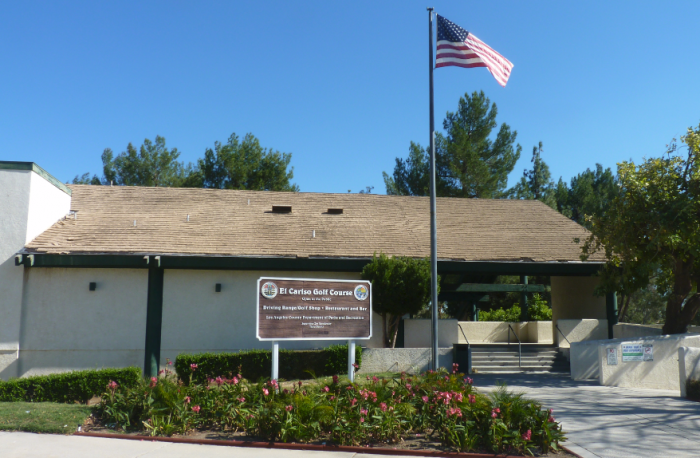 El Cariso is a 18 hole executive golf course located in Sylmar, CA and is a County of Los Angeles operated golf course. The course is off Hubbard Street and is next to the Mission College campus. 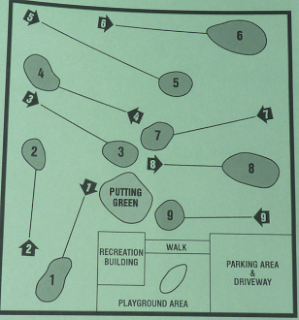 There is adequate parking and in addition to the course, there is a driving range, putting green and a bar/ grill. 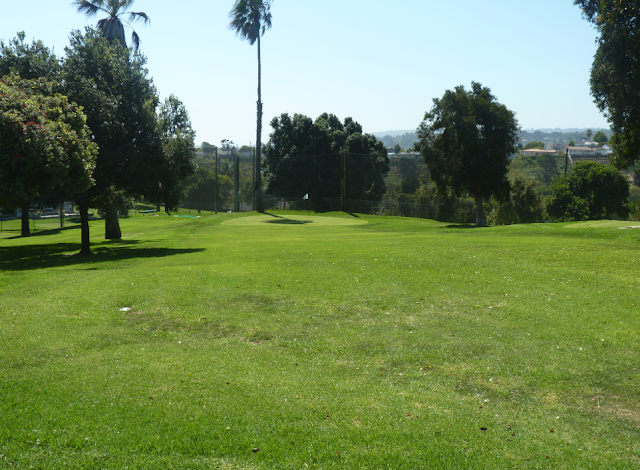 I have now played every par 3 and executive golf course in the Los Angeles area. 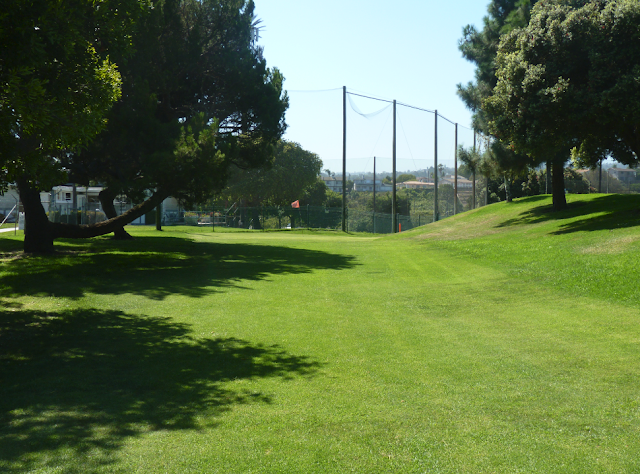 I have thought long and hard, but for me there is one hole which stands out amongst the rest – 17th at Vista Valencia. The hole looks great to the eye and is fun to play. It is a 158 yard par 3. 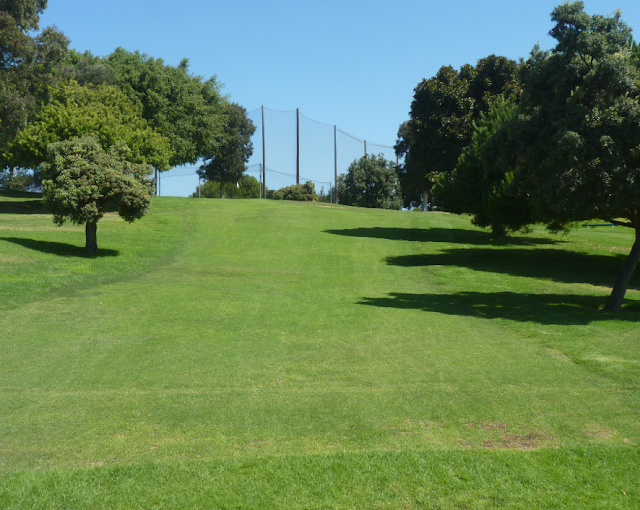 You drive (or walk) your cart up a path to an elevated tee box. From there you look down at the hole and see the green which is an island completely surrounded with water. The green is pretty large and has a bunker in each corner. Sea Aire is a pitch n’ putt course located in Torrance. 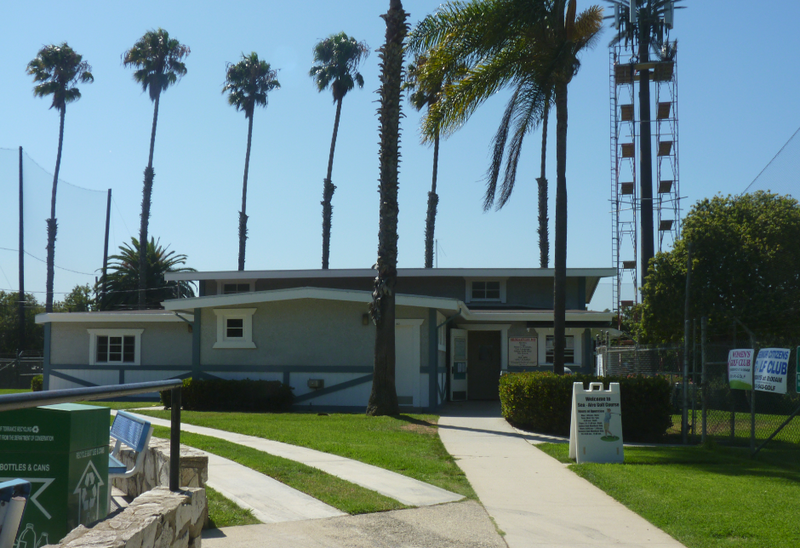 It is located in a residential neighborhood just west of Sepulveda Blvd. If you do not have GPS, I recommend printing directions before you go. There is a parking lot at the golf club, but when I arrived it was full. I had to park down the street. It was weird as there were only two others out on the course and the course had just opened five minutes prior. There is an adjacent school and I think that the cars in the parking lot were school-related. 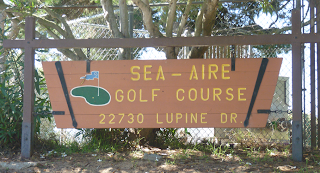 There is just the golf course located at this site. There are no practice facilities or putting greens. In addition to the starter office, there is a small meeting room where I think the Women’s Club meets. The starter was very friendly and polite. 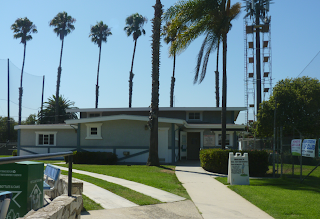 If you are a Torrance resident with valid ID you can get $1 off the rate. I think the rate for kids was only about $4. 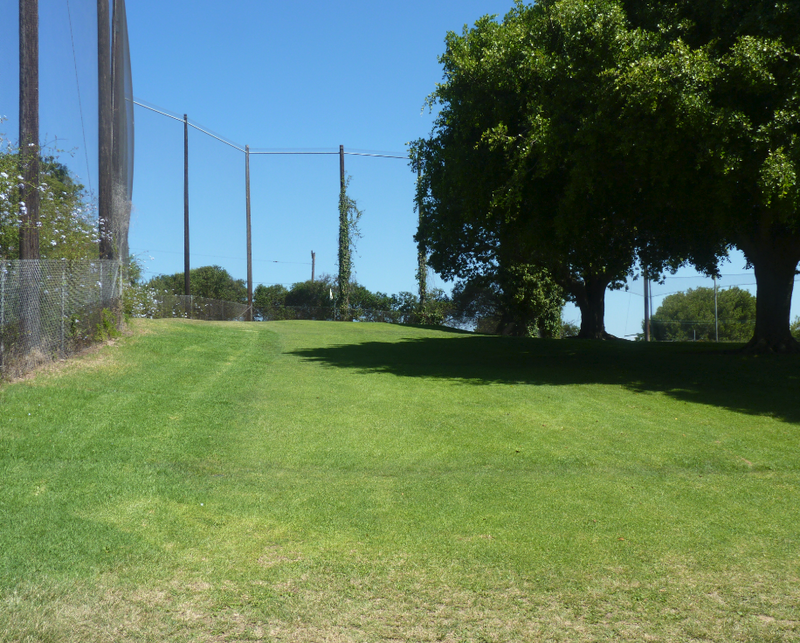 This is a pitch n’ putt course, so it is obviously short – 510 yards. 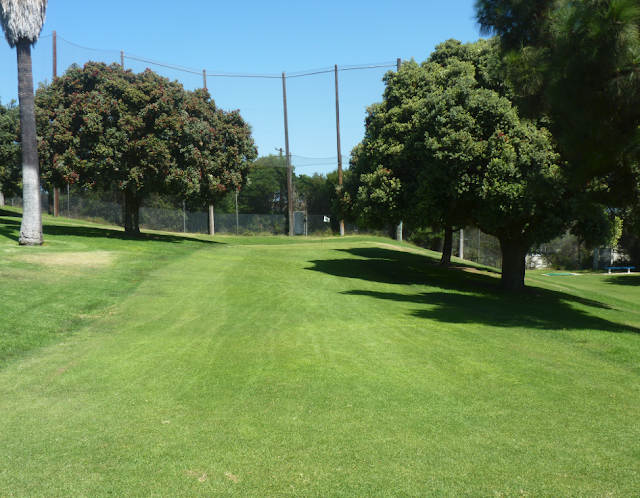 In fact it is the shortest golf course in Los Angeles. 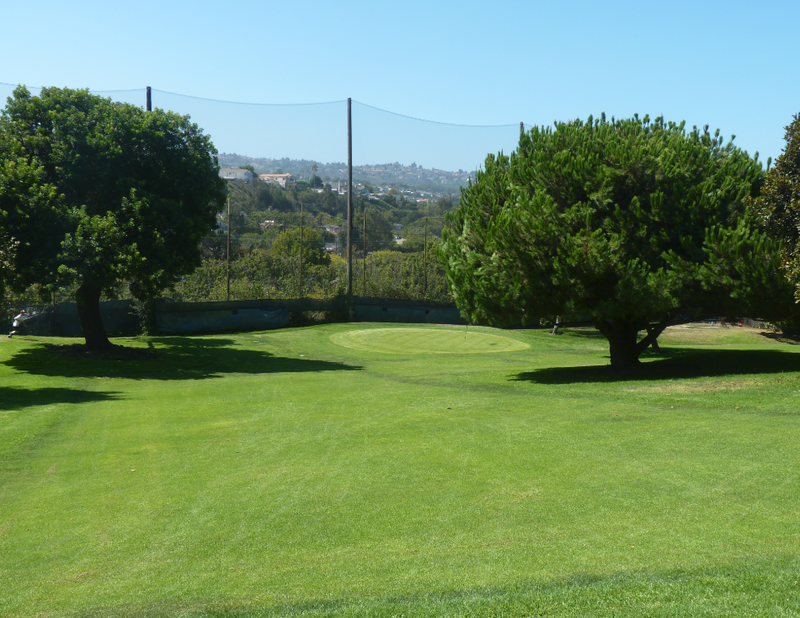 This course is a different beast to your standard golf courses, or even the par 3 courses which I have reviewed on this site. This whole course is only a few yards longer than your average par 4 golf hole. I have tried to review and rated this course based upon what it is. 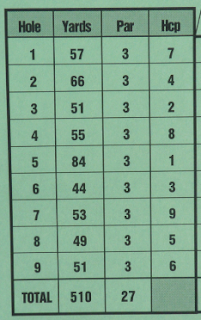 Even though I gave it an overall 3.5, it should not be compared to other types of longer courses. These courses are great to take your kids and get them into the game. Also for the occasional recreational golfer. 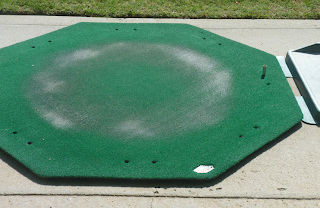 They are a step-up from miniature golf and not designed for the serious golfer. Each hole is about 50 yards – the longest being 84 yards. So you can rarely take a full swing, even with a wedge. 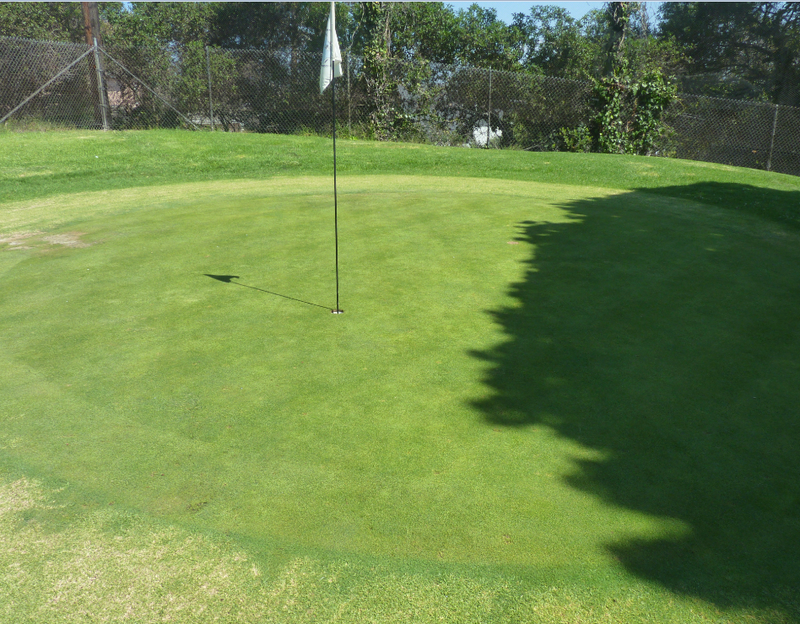 The greens are super small – some about 12ft wide. Which make them hard to hit. All you need is a wedge and a putter. In fact the club rules state that players may not carry more than 3 clubs onto the course. The course was easy to navigate and as it was so small it was possible to start on a number of different holes. Which was good if there was a large group or a slower-group out on the course. It took me just 30 minutes to play a round. Which is about half the time which it took me to drive there! 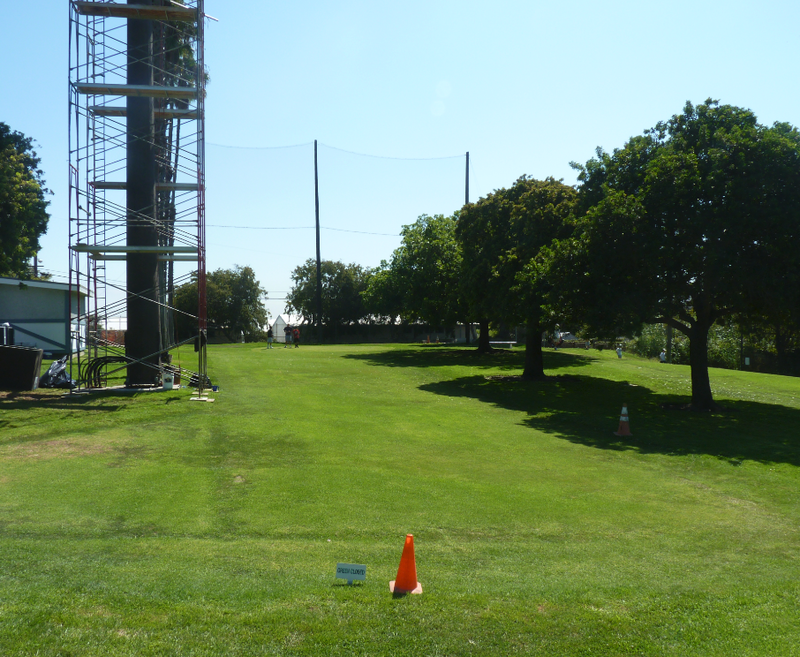 When I played they were doing some work on a telephone tower, so the first hole was closed. I was told to just play one of the other holes twice to complete my nine hole round. The greens although small actually are not all that bad. 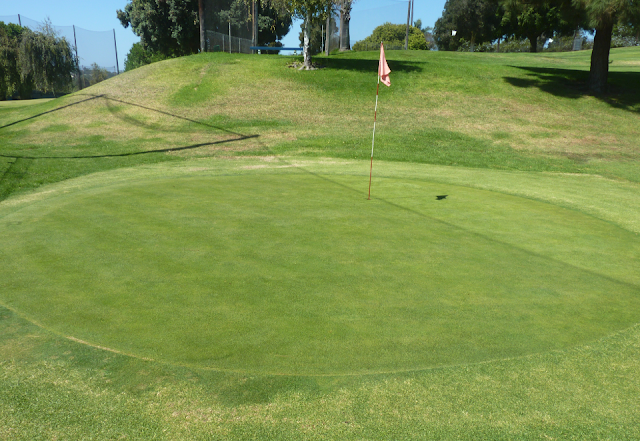 I have seen worse greens on other larger par 3 golf courses in the Los Angeles area. Each tee box has a metal bench, but there are no ball washers on the course. You hit off mats and no plastic tees are provided. 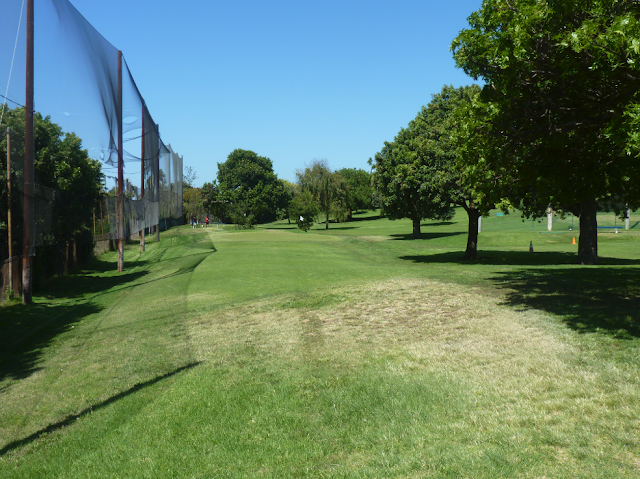 This range is located at the same location as the Sinaloa par 3 golf course (see previous review). 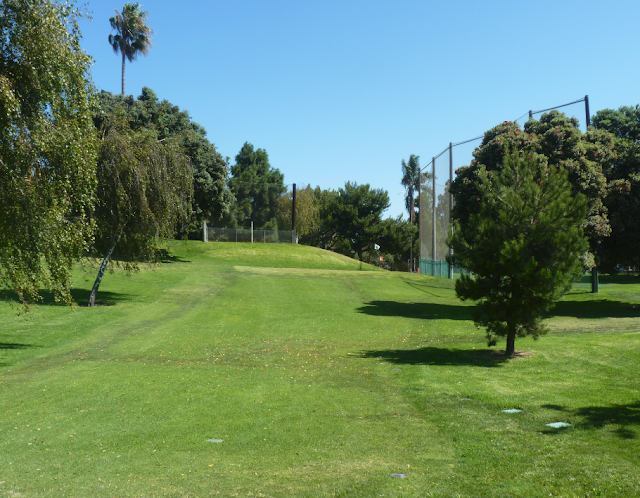 The golfing complex is located south of the 118 freeway, Madera Rd exit. Just follow signs for the Reagan Library once you exit the freeway. We went on a weekend and there was plenty of parking. This is an outdoor range and there are about 15-20 stalls. It was pretty quiet with about 70% of the stalls being available. 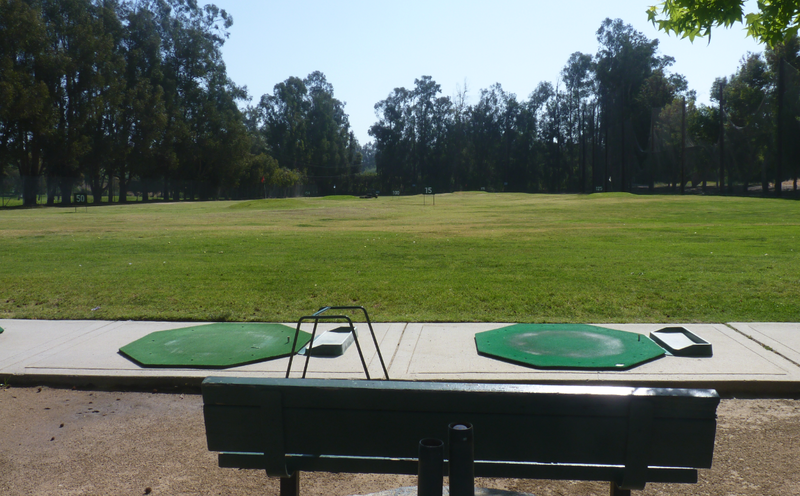 The range itself is in fair to average condition. The mats need replacing. As you can see in the picture to the right, they are worn. The ranges does seem to supply the plastic tees though. There is no putting green, but there is a small chipping area. 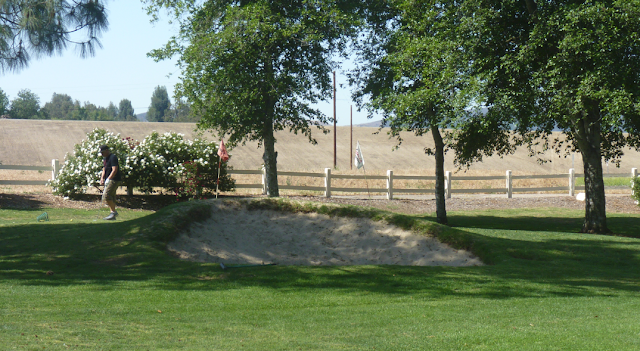 There is a bunker and an area where you can chip onto a small green. The green is not of the same quality as on the golf course. It is basically just a shorter cut of grass. Still this area works for chipping. The prices seems fair, however the quality of balls does not look great. 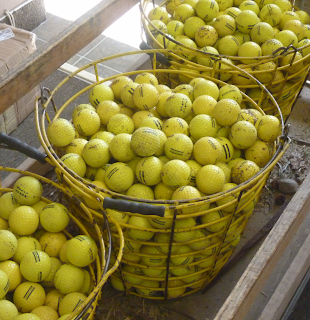 The balls are yellow and seem to have gotten a lot of use. I would rate their quality adequate. I was told by someone that they are limited flight golf balls. Meaning they are designed not to travel as far as a regular ball. 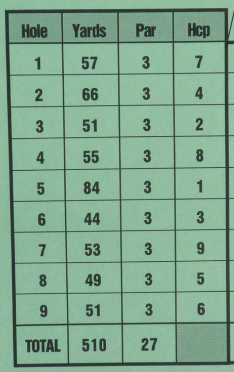 Be aware of this fact if you plan on dialing in your yardages for each of your clubs, as the results will not be accurate to what you will see on the course. The range is 220 yards to the back fence. There are a couple of flags, but generally you are aiming at the yardage markers. There are no greens to hit onto. If you live in the area this is an adequate place to practice. But not worth traveling outside your neighborhood for. Not what you expect to see on a golf course. This was caught on a cell phone at the Spring Valley Golf Course in Victorville. I believe the incident happened yesterday. The golfer was angry as the teens were riding through the course on their bikes. Video courtesy of ABC 7. This website has been live for about 4 months now and I have just reached the 25,000 hit mark. Thanks to everyone for checking out the website and for all of the feedback which I have received along the way. 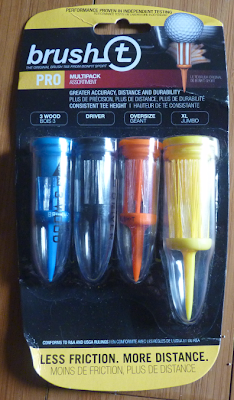 I came across the Brush-t Pro Tee’s while perusing the classifieds section of Golf Digest. I am always looking to try new products and gadgets so picked up a packet to try out. 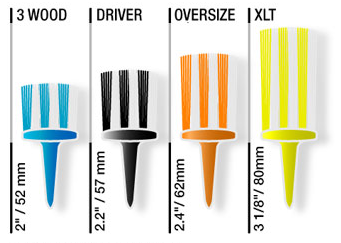 The Brush-t ® bristles have been designed to do away with resistance from impact with the tee. The ball is supported largely by air which means that the speed of the club face at impact is concentrated so perfectly on the ball, that the sheer kinetic energy helps create a longer and straighter shot. 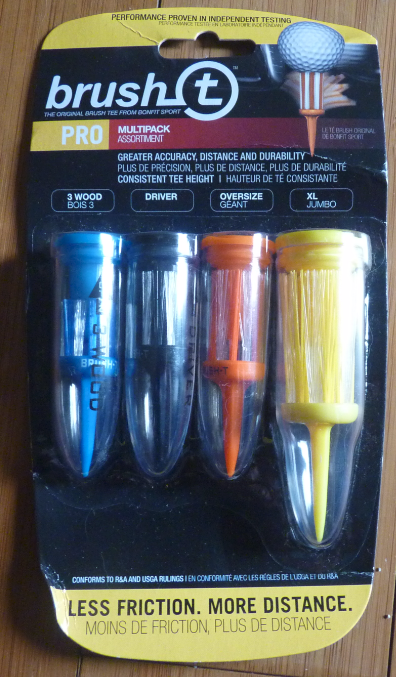 Accuracy: Brush T eliminates up to 2% of left or right deflection and that means greater accuracy for your shots. Over 300 yards a 2º deflection can make your shot up to 14 yards wide of the mark! Each tee comes in a capsule style holder. The lid acts as a ball marker and there is a preserver in the middle which helps protect the bristles. I really like the look of the product and how it is packaged. It is very pleasing to the eye. I picked up a multi-pack and each size tee is a different color. It also has written on the side which club it is for, i.e. blue is 3 wood, black is driver etc. When I tried these out I found that the tee goes into the ground very easily – unlike the X-Blade tee’s. Because of the shape of the tee, it means that each time you stick it into the ground the ball will be at a perfect height for the club you are using. Thus helping with consistency. The ball was easy to place on the tee and sat on top of the bristles without movement. I enjoyed using the tees, however in my limited use I found no difference in performance in terms of distance and accuracy. I will continue to use these tees in the upcoming months and update my progress. They are currently one of my favorite types of tee. It is so easy to place the ball on top of it and I like the design/ colors. They seem to do the job and are not gimmicky like some of the tees on the market. They also seem to be well made and will last. 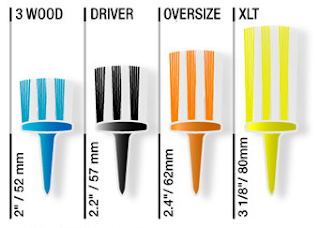 The Brush-t can be found at the usual retail and online golf providers. The 4 piece multi-pack is priced at $9.99, the 3 pack 3-wood tees are $5.99. 2008 PGA Player of the Year Padraig Harrington joins the FSN’s Sport Science team. This video shows the science behind the “Happy Gilmore” style tee shot and whether running up to the ball (as opposed to being stationary at address) really adds distance to your drives.